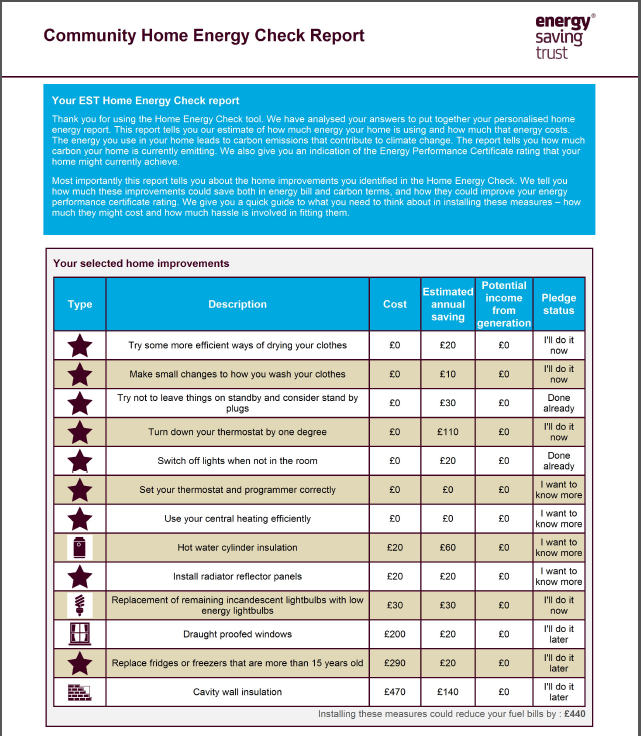 What is the Community Home Energy Check? The Community HEC is a tool to help communities provide home energy advice. 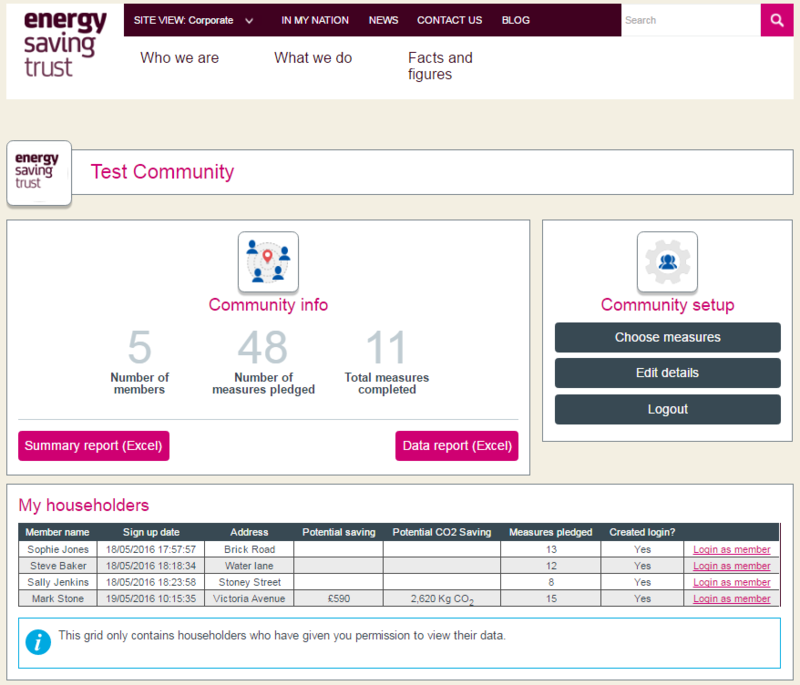 As well as providing a tailored report on energy saving for everyone who uses it the community HEC enables community groups to track how many people they have advised and gain an overall picture of home energy efficiency in their area. Communities can use this tool to collect pledges of energy saving behaviour and to gauge levels of interest in energy saving measures within their area. Information entered into the HEC will generate a report for the householder and also feed in to an anonymised report for the community. Householders can give the community permission to view all the information they enter into the Community HEC, which enables community group leaders to see detail about what energy saving measures people have in their homes or would like to have installed. Can I set up my own community? If you are part of a community group or a social enterprise wanting to deliver impartial home energy saving advice you can apply to register as a ‘Community Group Leader’, set up your own community and then encourage householders to join your community. We will send you a pack containing all the information you need and check your application to set up a community before deciding whether to accept your application.